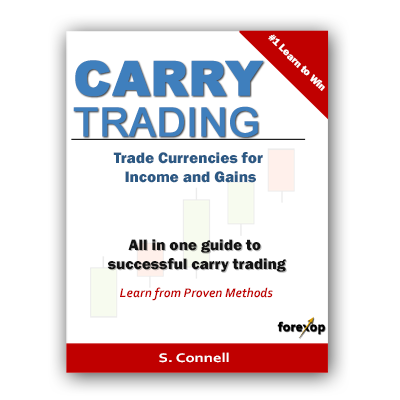 The Reverse Carry Trade - A Reliable Profit Maker? The reverse carry trade is what’s called an event driven strategy. It’s not a trading system you can use every day – yet at the right time it can be highly profitable or act as a hedge to carry trading positons. It is therefore one you should keep on hand and ready to use. Reverse carry trading is a system you can use when there’s an abrupt reduction in risk tolerance. While these shifts may happen on a small scale, daily and weekly, the dramatic contractions in risk tolerance come off the back of major global crises. This means there’s plenty of time to prepare. Reverse carry trades ride the momentum of unwinding carry positions – funds flowing out of high-yields. During financial distress, it’s usually the case that investors shun high-yielding, risky currencies. The do it on mass and switch their funds to safe, defensive investments. The speed and explosive power of these sell-offs, mean they can present good opportunities to make profits, in a short amount of time. Keep in mind that historically, it has been during major financial crises that the biggest shifts in wealth occur. Unwinding As the saying goes “the bull goes up the stairs and the bear jumps out of the window”. When carry trades unwind, the movement can be sudden and forceful. In the reverse carry trade, what you are doing is in effect riding the momentum of the unwinding carry positions – the tidal flow of funds coming out of the high-yields (risky currencies), and into safer investments. At times of severe risk avoidance, it’s not unheard of to see currencies giving up 5-years worth of gains in just a few days. These events often trigger a secondary wave of activity. This happens as more and more traders start to short the high-yielding currency. That puts on further downward pressure, at which point the selling turns into a full market blow off. If you look back at events that caused periods of major risk aversion, these were usually preceded by early warning signs. The ripples that have the potential to turn into major financial crashes are what a shrewd trader will be looking out for. Take the 2007/2008 financial crisis. The warnings of this event started during the summer of 2007 and earlier – long before main street and the press got wind of what was happening. Early signs appeared as overnight interest rates started to soar. This happened as traders’ worst predictions about unusually high-default rates on sub-prime mortgages began to come to light. This caused a freezing-up of the credit markets during the summer. Traders weren’t sure which banks were exposed to the mountain of securitized debt and by how much. The high-yield currencies reacted immediately by falling sharply as carry trades started to exit their positions. However many investors underestimated the scope of the crisis. The carry currencies then mostly recovered to previous levels over the next few months. It wasn’t until the collapse of Lehman Brothers over one year later that the depth of crises was really appreciated. The carry currencies then went into meltdown over the following weeks. It is important to keep abreast of current events to avoid being taken by surprise. Often when looking at price charts and technicals it is easy to miss the big picture. As well as staying up to date with current affairs, the tools below will give valuable early warning signals. The VIX, also known as the fear index, is a broad measure of the market’s attitude towards risk. A higher value means the market is more risk averse, a lower value, indicates more risk tolerance. The VIX has a long history of running in cycles. Periods of very high risk tolerance are often a warning sign of complacency, and an impending (often violent) re-adjustment to come. 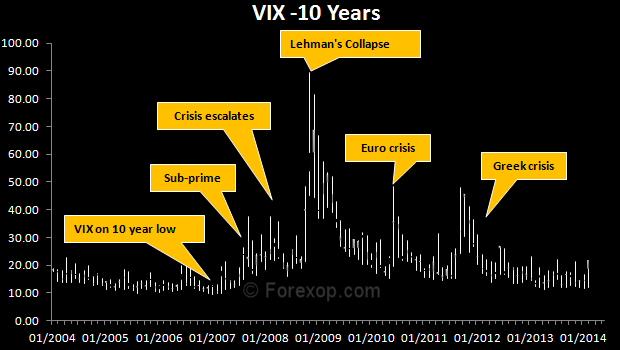 At the beginning of 2007, the VIX reached such a level. It was at its lowest point in over a decade – indicating abnormally high risk tolerance. During 2007, the VIX started climbing steadily from this ultra low level. This is no coincidence. There was a growing concern among analysts and traders about the long-term effects of the extremely low interest rates in the US – namely excessive build up of debt as a result of unprecedented amounts of “cheap money” and lax lending criteria. 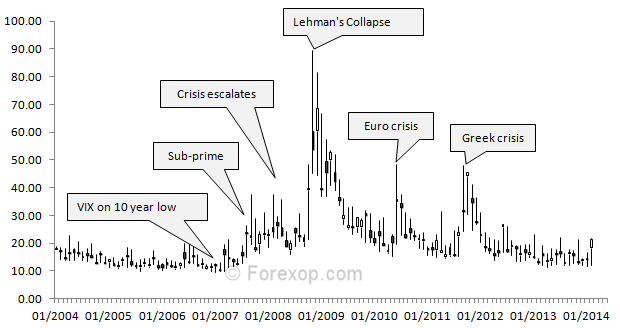 The VIX then spiked, in the summer of 2007, as events really started to escalate into a financial meltdown. After a brief abatement, the crisis culminated in the collapse of Lehman Brothers. This was swiftly followed by a raft of Government bailout measures. Those who prepared for these events made “a killing”. For others it was too late to get out without suffering severe losses. Another useful signal is the LIBOR-OIS spread. Libor is the interest rates that banks use for short-term lending and borrowing with each other. Crucially, Libor is the rate for unsecured lending. Before the financial crisis, this was a mere technicality because the top investment banks had higher credit ratings than many governments. Defaults on loans were therefore not considered to be a realistic prospect. The OIS rate on the other hand is the overnight rate used for interest rate swaps. With an interest rate swap, there is no loan, simply an exchange of interest payments. Therefore the OIS rate more closely reflects a currency’s true overnight interest rate because there is no credit risk premium. The difference, or spread between Libor and OIS is often used by traders as a financial stress test that can warn of pending risks ahead. The basic setup of the reverse carry trade is very simple. 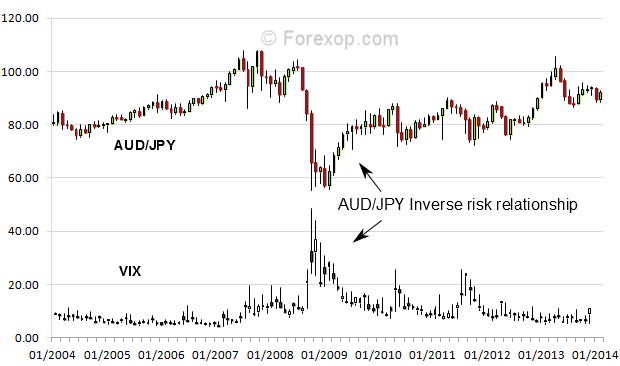 Short the risky, high yielding currencies that have been carry traded and long the defensives – in the last few years that means pairs like AUD/JPY, NZD/JPY and AUD/CHF. “Reverse carry” costs It’s also worth keeping in mind that these currencies are expensive to short. For the same reason they’re attractive to carry traders going the other way, you’ll pay-out high rollover fees because of the interest rates. So you don’t want to stay in these positions for any longer than necessary. Broker fees vary widely, so check the rates and fees for your chosen currency pair. The timing is the overriding issue. You need to get the timing right so as you don’t find yourself trapped in a short term pull-back. That can ruin your strategy. These upswings can be swift and brutal if you’re positioned the wrong side of them. This is where using the VIX chart, and other tools are essential. Being on top of market events is also a critical aspect of this strategy. Keeping fully informed of the global investment climate and what’s happening is essential. That means understanding the threats and the opportunities. From this, anticipate the position of other investors, and the reaction of the market. Though history may not repeat itself exactly, there are certain patterns and price movements that do occur again and again with startling regularity.